Dr. Vandana Patravale addressing the audience. Dr. Hina Siddiqui, a research officer at ICCBS urged women to come towards Science and research. Roxanne Bales vividly remembers the months she spent at a graduate program in organic chemistry in New England. She was an organic chemist from India who was known for her work in bio-organic chemistry, including “pioneering work in protein folding” and “ ..
Ms. Akiko Yagi, Doctoral student in the Group of Prof. Itami has received the L’Oréal-UNESCO For Women in Science Award 2014! 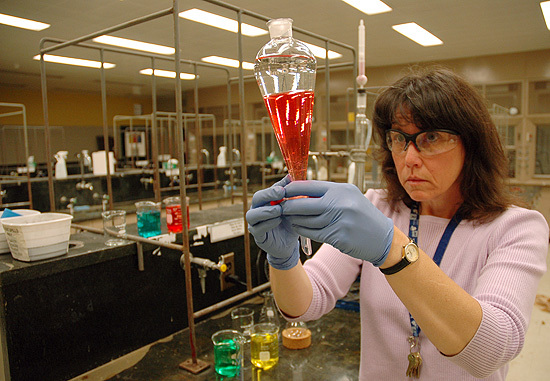 Andrea Roberts, visiting instructor of chemistry, has introduced “green” techniques into her organic chemistry laboratory sections. 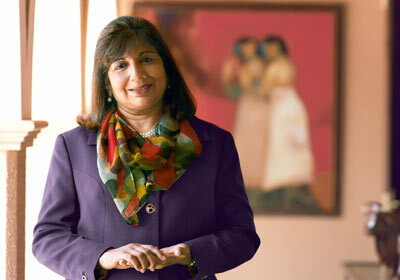 Kiran Mazumdar Shaw: (born 23 March 1953) She is the Chairman & Managing Director, Biocon Limited a biotechnology company based at Bangalore. She is on the Forbes list of the world’s 100 most powerful women and in business list on top 50 women released by the Financial Times’. In the year 1978, she started Biocon in the garage of her rented house in Bangalore with a seed capital of Rs. 10,000. Now the net worth of the company is more than $ 900 million. Now Biocon produces drugs for cancer, diabetes and auto-immune diseases. Product pipeline includes world’s first oral insulin, currently undergoing Phase III clinical trials. Chicago — Five chemists were presented with the Elsevier Foundation Award for Early Career Women Scientists in the Developing World for research that looks to nature for ways to address cancer, malaria and other medical problems.The winning researchers, representing five regions of the developing world, are from Indonesia, Jamaica, Nigeria, Uzbekistan and Yemen. 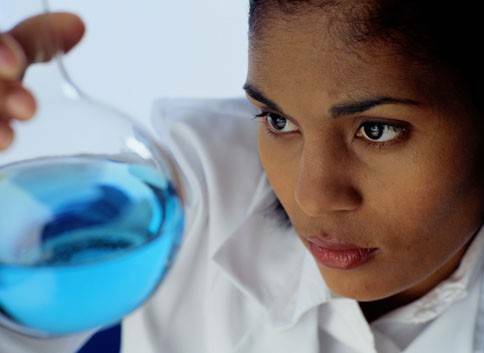 The prizes are awarded by The Elsevier Foundation, the Organization for Women in Science for the Developing World (OWSD) and The World Academy of Sciences for the advancement of science in developing countries (TWAS) with the aim of building scientific strength and advancing scientific knowledge in developing countries. Dr. Nilufar Mamadalieva, Senior Scientific Researcher at the Institute of the Chemistry of Plant Substances in Tashkent, Uzbekistan, was honored for her work on the phytochemical and biological investigation of active compounds derived from medicinal plants growing in Central Asia, in particular the development of efficient nutraceuticals and the discovery of new lead compounds for the pharmaceutical industry.The field of natural substances, a tradition at the Tashkent Institute, is gaining more interest in western countries for the development of efficient nutraceuticals and the discovery of new lead compounds for the pharmaceutical industry. “This award gives me confidence and confirms that I’m going for the right goal,” she said. 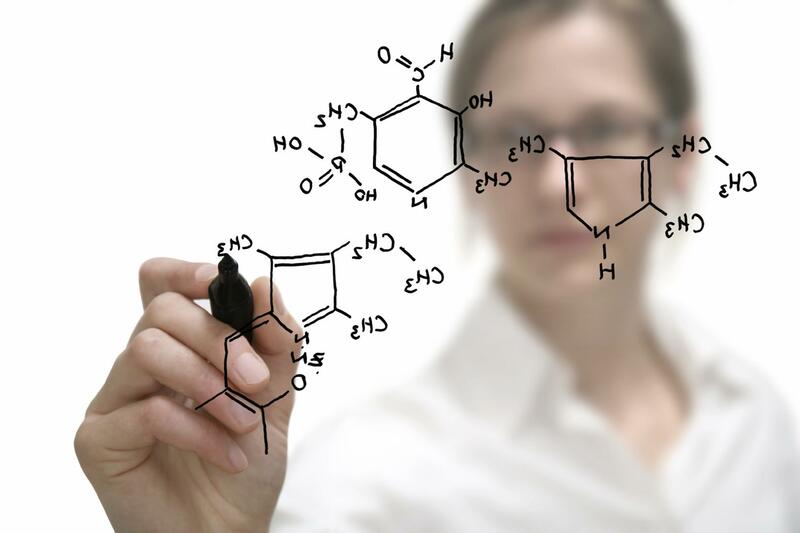 “Women need science, science needs women and they need to work together,” she said. 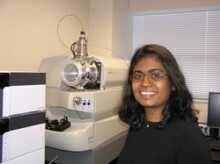 Dr. Ritmaleni received her PhD from the School of Chemistry at Bristol University, UK after receiving a scholarship from the Indonesian government. She has won several awards in Indonesia and has published over 40 papers. 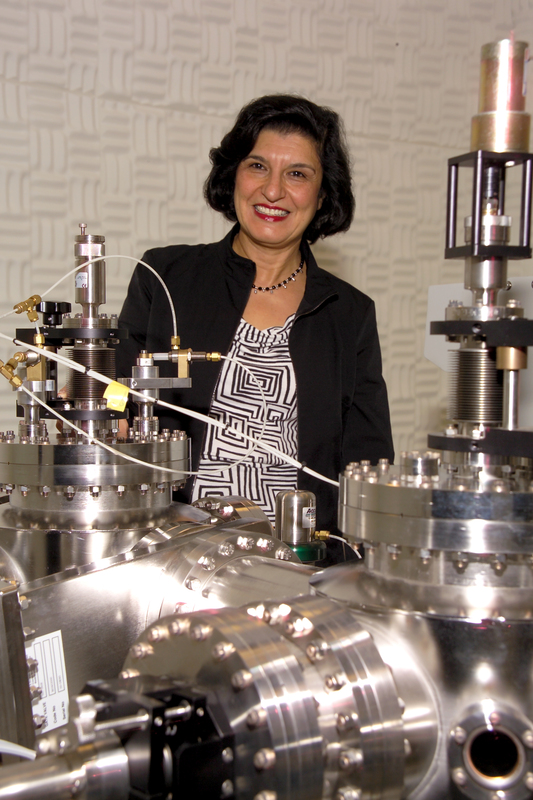 Dr. RItmaleni said researchers face various challenges at her institution, including a lack of access to scientific equipment and supplies and a scarcity of grants for basic science. As a mother, she also strives to balance work and family, making “time management” an important priority. Dr. Simone Ann Marie Badal McCreath manages the biochemistry lab at the Natural Products Institute at the University of the West Indies in Jamaica, and is designing a new cell culture lab at the same Institute. 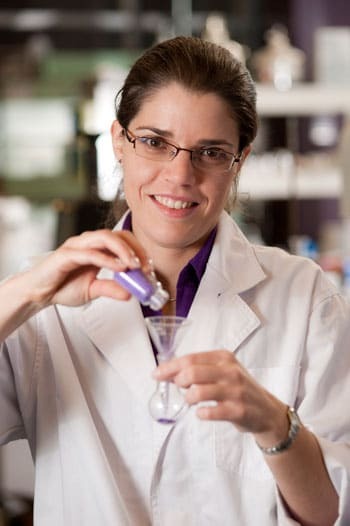 She was recognized for her work in designing a new cell culture lab to investigate the cancer-fighting properties of Jamaican natural compounds.Her interest is in screening Jamaican plant isolates for their potential properties slow down block or prevent the carcinogenic process. 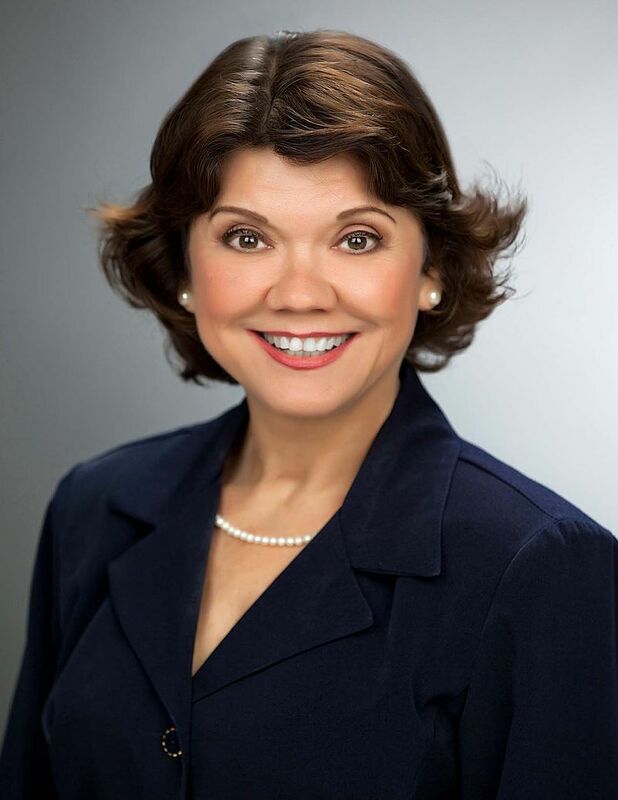 “Our findings have so far identified several isolates that are more potent in reducing cancer cell viability as well as potentially safer than anti-cancer drugs now on the market,” she said. “This research will pave the way for future research necessary for drug development and also the propagation and culture of novel Jamaican cancer and normal cells lines. 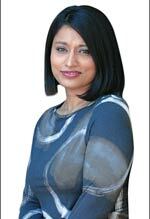 Dr. Badal McCreath has received numerous awards and has published extensively. She said the challenges she faces in her career are less gender-based and more about the long delays in getting equipment and supplies to their lab as well as a lack of funding. Dr. Eqbal Mohammed Abdu Dauqan is Head of the Department of Medical Laboratories Sciences at Al-Saeed University in Taizz, Yemen. She was honored for her research on the antioxidant properties of vegetable oils and specialized research in sensory evaluation and organic chemistry.She received her PhD from the National University of Malaysia. Her interests are in biochemistry and biotechnology, and she has conducted specialist research in food science, natural antioxidents and organic chemistry. She is also a dedicated teacher. “Not all the people around us understand what natural antioxidents are,” she said. She and her colleagues do workshops for the public, pointing out the antioxident properties in vitamins such as C and E and how to find them in the foods they eat. Dr. Taiwo Olayemi Elufioye is acting head of the Department of Pharmacognosy at the University of Ibadan, Nigeria. 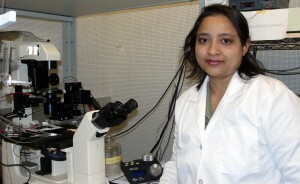 She was honored for her research on the medicinal properties of native Nigerian plants, in particular the effectiveness of different species in treating malaria, wounds, memory loss, leprosy and cancer.She said she has been able to identify a compound with good activity against a chloroquine-resistant strain of malaria parasites. 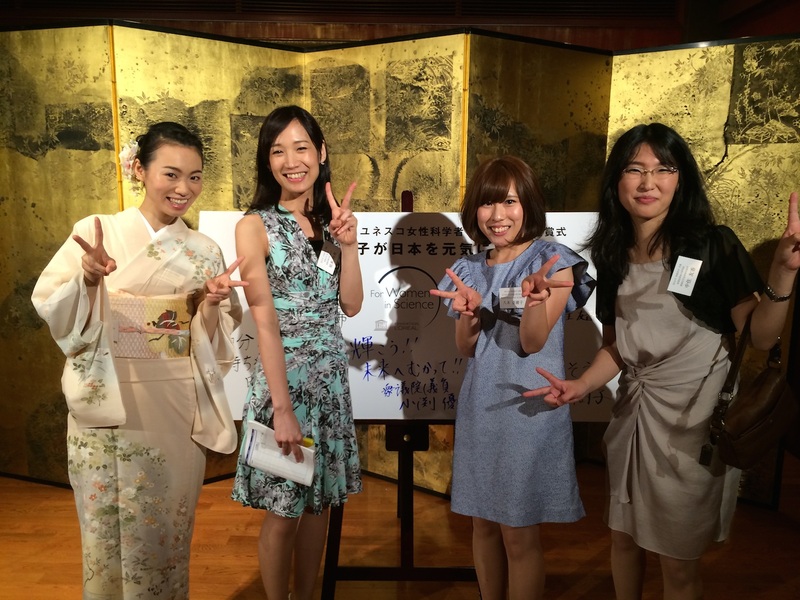 Also, she and her research colleagues are creating an herb tea that that may be useful for dementia. “My main challenge has been funding, typical for most developing world,” she said. “Also been a woman can be challenging considering the fact that prevailing conditions and policies are not necessarily woman-friendly. David Ruth and Samira Omar Asam present the award to Dr. Nilufar Mamadalieva, Senior Scientific Researcher at the Institute of the Chemistry of Plant Substances in Uzbekistan. David Ruth, Executive Director of the Elsevier Foundation, said professional visibility is crucial to developing high-profile international scientific careers, especially for women. He explained that the Elsevier Foundation provides support to early-career women scholars through its New Scholars grant programs as well as mentoring, research retreats, professional visibility, childcare, work-life integration and recognition programs.